Then I read about what this little fish could do and quickly I changed my tune. In a nutshell, it’s a small fish made of iron that you boil in any liquid or broth-based meal (along with a few drops of citrus juice or apple cider vinegar) to enrich it with iron — then, add the rest of your ingredients and enjoy your regular meal, just with some bonus iron. Now, I’m not really sure whether I’m iron deficient or not, but I do know that Kristen has been told on more than one occasion that she could use more iron in her diet — which, by the way, is not uncommon for women or vegetarians. Or for lots of people, actually — nearly a third of the world’s population is affected by iron deficiency! So being the wonderful husband that I am (shameless plug!) I set out to utilize The Lucky Iron Fish for our next meal. For our meal I kept it very simple — just some pasta. (This pasta, actually!) 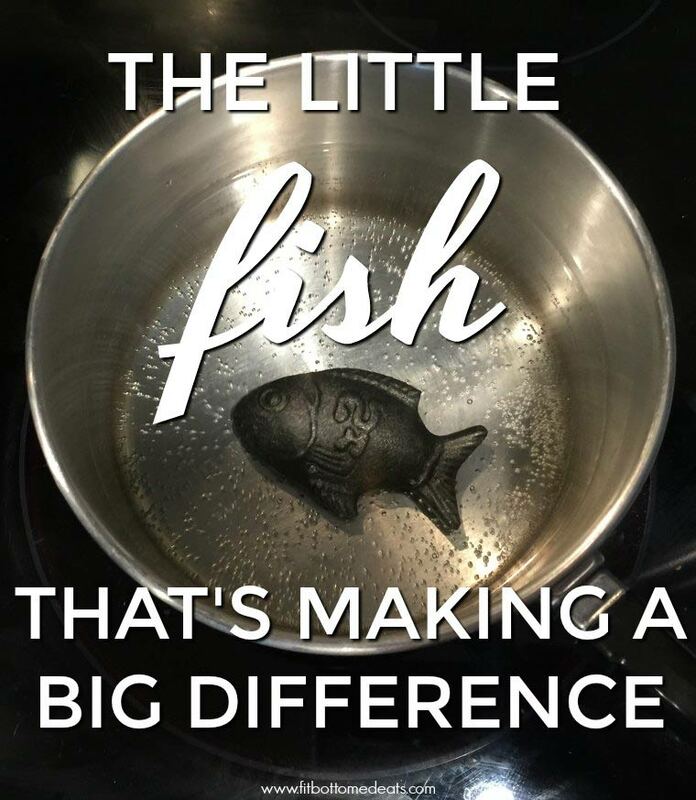 Since you need to boil your Lucky Iron Fish in the water you’ll be using first, be sure to factor an extra 10 minutes into your schedule. For the required citrus juice, I used lime — and to be honest, I was a little worried this might change the flavor, but it wasn’t even noticeable. After 10 minutes, I removed the Fish and then proceeded to make my pasta like normal. The water had just a bit of a yellowish tint to it, but no smell or taste was noticeable in the final meal. Cleaning the Lucky Iron Fish was also easy. I just removed it from the boiling water, let it cool, washed it with soap, water and a soft cloth, then dried it thoroughly. It can get rusty — it’s iron, after all — but washing it with a bit of citrus juice should take care of that problem. Providing my wife (and myself) with added nutrition in such an easy way isn’t the only reason I’m psyched about this Fish. The company is also aiming to help the nearly 2 billion people worldwide who are affected by iron deficiency. For every Lucky Iron Fish purchased, one is given to a deserving family (which might be part of why Oprah is also a fan). Jackpot! Not only am I a great husband, but I am also being socially responsible when I tell people about the Lucky Iron Fish. I’m glad I took the time to read about the Lucky Iron Fish instead of just assuming it was another trinket that would take up space in our kitchen. The ease of use makes this a valuable kitchen tool for those who need more iron in their diet. Although even if it were just a trinket, it would still make for a very socially responsible one! So, very interesting, and also very cute. Win, win.